Continue using your Bianco Smile Teeth Whitening Kit with a quick refill of the newest charcoal teeth whitening gel. You will receive 3 syringe refills of the highest grade legal charcoal teeth whitening gel available on the market, plus a free bonus application brush to make it easier and faster for you to evenly spread the gel. 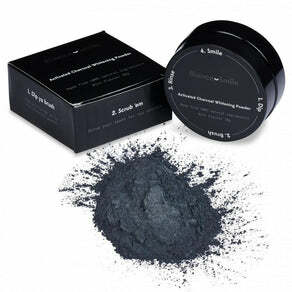 Uses the natural benefits of activated charcoal. 5) Combine - To get better whitening results, you can use the gel together with the Bianco Smile LED light (sold separately).